The week in review – January 1 to 8, 2015. The 6th hole at Ivanhoe, my home course, is a par 5. I’ve birdied it on multiple occasions. However, when I played on Sunday morning, this is what happened. 1. Well struck drive but blocked right into a tree. It pops out into the rough but with a reasonably clear shot. 2. Hooked shot into the trees. 4. Dragged 6 iron well left of the green. 5. Chip catches grass and falls well short of the green. 6. Chip. Total duffed shot. 7. Chip to about 6ft. 9. Putt. In the hole. Thursday night was the first game in a new season of netball for the social mixed team I play for – the Motley Diamonds. Two years ago when I wrote regularly on this blog about every sporting event I watched or played, I lamented losing repeated grand finals in both mixed netball teams I participated in. In 2014, I was part of a premiership for the first time in over five years as the Motley Diamonds won the Albert Park title. Maybe that’s the key to success – don’t write about it? Anyway, we were back on court on Thursday, and it was fair to say we had to blow out a few cobwebs after some time off, losing a low scoring game. On a personal level, I was ordinary. One of my shots for goal was an “airball”, even though it was a short distance. This made me pretty annoyed when the winning team shook hands after the game saying “good shooting” – were they not watching the game? Oh well, it gives me a low base to start from for the rest of the season – the only way is up! Saturday night was the latest installment of the Big Bash cricket’s Melbourne Derby – Melbourne Renegades v Melbourne Stars at Etihad Stadium. I’ve written before that I’m a Stars fan (and a foundation member as well), and I’ve been just as disappointed as everyone else with their 0-3 start to the season. But, on Saturday, it was like that had all been forgotten as the Stars absolutely thumped the Melbourne Renegades by over 100 runs. This side I was watching on TV was more like the dominant side we watched in the home-and-away rounds last year, as opposed to the first three games which was like the limp side we’d seen in the semi final last year. I went to the game on Monday night against the Sydney Sixers and that was even more of a treat. Michael Lumb of the Sixers hit 80 to carry his side to 150. After losing Luke Wright early, White and Pietersen went at a steady pace and looked to have the required rate in hand until they, and then Maxwell, all gave away their wickets. It was about this point a couple of my mates left. I turned to my girlfriend and sai “I bet we’ll win now”! James Faulkner and Tom Triffitt then decided to make things exciting by lifting the scoring rate, then they hit 15 off the final over to get a tie, including scampering for two off the final ball. Faulkner returned in the super over to smash 19 – including two sixes – which Sydney didn’t even come close to in their reply. It was one of the most exciting games of cricket I’d been to, rivalling the time VIC played NSW and Hussey and Bravo needed 51 off 18 deliveries and got the runs with 2 balls to spare. I was particularly pleased for Tom Triffitt. Having stuffed up his most recent chance at climbing the rungs of Aussie cricket, hopefully this has been a good audition for him to get another chance at state level. I’ve watched lot of test cricket recently, both at the ground and on TV. With four centuries in the series, and winning back the Border-Gavaskar trophy in his first series as captain, you can’t help but be impressed by Steve Smith. Forget the misguided banter about his non-declaration in Melbourne, he’s led this team beautifully in Clarke’s absence. And while I’m commenting on TV sport, I have to note how awesome summer is for constant sport – either on TV or to attend. So much cricket and soccer, and the Tennis has just started (We watched Federer v Millman on TV last night). It’s brilliant! An obvious issue with summer sports is that when players are regularly required to play in the heat, they won’t always be at their best. This was evident in recent A-League games. Just before watching Friday’s Melbourne Victory v Perth Glory A-League game on TV I saw on Twitter that the Victory fans who had made their way down to Geelong for the match were not a happy bunch (The game was being played there while AAMI Park is being used for the Asian Cup). Long lines to get in when the temperature was still 37 degrees, and then a lack of outlets to buy water, let alone a beer, coke or anything else. There is a huge potential market in Geelong and the Bellarine – an area where people love their sport and would love more chances to watch top-level sport in their backyard. Here’s hoping that the Kardinia Park management fix this up next time the Victory head down the highway. As for the game, the Victory threaten to be an amazing team but really weren’t pulling it together on this night. Two defensive lapses were pounced on early by Perth and the Glory won 2-1. On Tuesday night the Melbourne Victory were clearly still feeling the effects of the heat on Friday when they travelled to West Sydney to play the Wanderers. Towards the end of the match, even before the second (winning) goal was scored, you could see how tired the Victory players were after their second game in five days (Not as tough as what Perth faced, playing their second game in four days in over 40 degree heat, but still difficult!). The fact they held on in a dramatic finish despite WSW sending in shot after shot at the Victory’s goal at the end of the game shows there’s some real grit and toughness amongst the players. It puts them back into third, four points off the lead and only goal difference off second. A welcome comeback after a disappointing Friday. They say with golf there’s always something that brings you back next week. 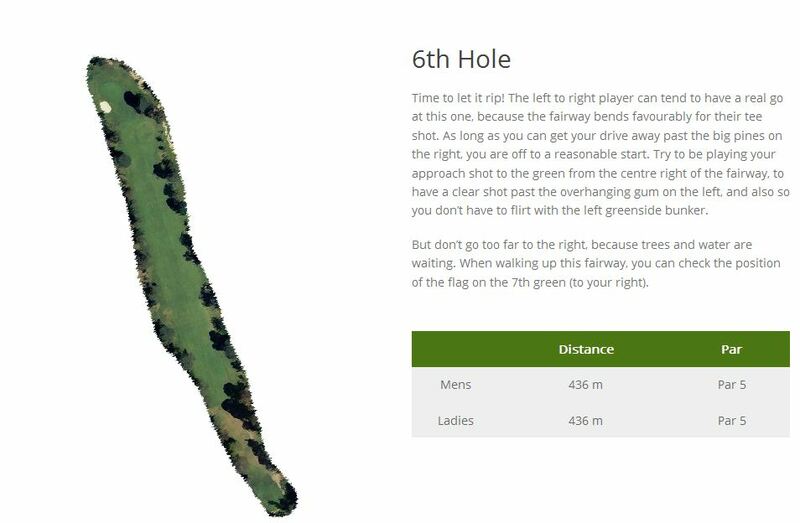 Already playing well over my handicap thanks to the disastrous 6th hole described above, I smacked a one-iron down the par 4 17th fairway, pitched to about 50cm, and holed the putt for birdie. I then hit a 7-iron on the par 3 18th onto the top deck of the green about 4m from the pin. While I missed the putt, a one-under finish for the last two holes made me wish this was a 27 hole event as I was finally striking the ball well. I also ended up with “nearest the pin” on the 18th, which meant I walked away with a new golf ball to use next time. It’s not often a bloke who’s had a quadruple bogey is looking forward to the next week. Bring it on! The Asian Cup soccer begins. I’m going to the Australia/Kuwait game but I’m hoping to get along to at least one of the other matches not involving the host nation. North Korea v Saudi Arabia, anyone? 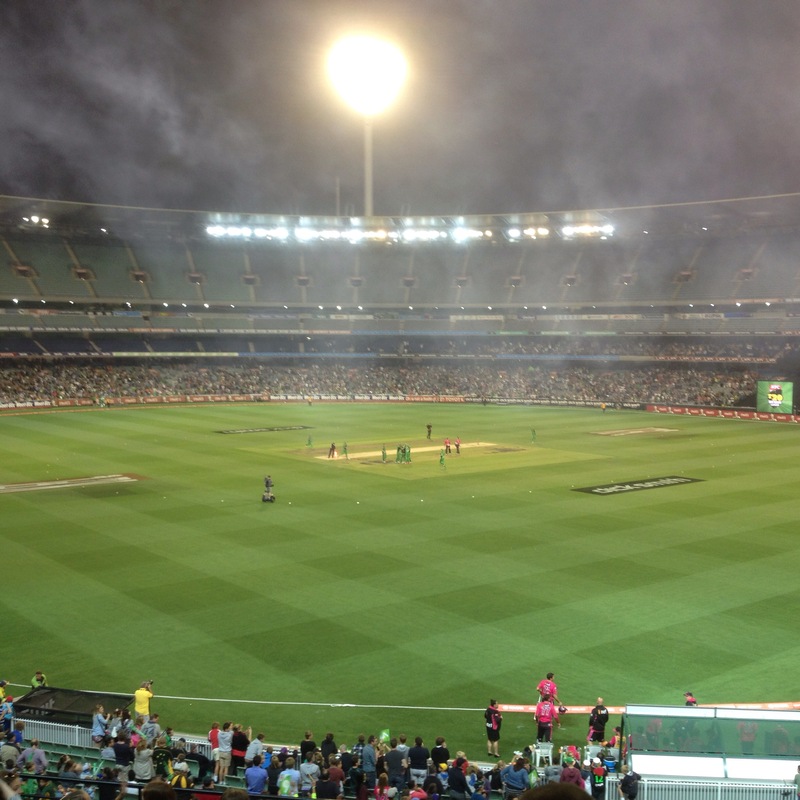 The 2nd Melbourne Derby in the Big Bash. Looking forward to heading to the game with a Renegades supporting mate – bring on the banter and hopefully no rain! Also heaps of you are running the Two Bays Trail Run – good luck! P.S. I’ll be trying to do this once a week for 2015. I hope you’re able to tune in! This entry was posted in Cricket, Golf, Netball, Soccer and tagged a league, big bash league, cricket, geelong, golf, Ivanhoe Golf Course, james faulkner, melbourne renegades, melbourne stars, melbourne victory, mixed netball, netball, Perth Glory, Riverview Golf Club, soccer, steve smith, sydney sixers, tom triffitt, western sydney wanderers. Bookmark the permalink.